Are you wondering how to increase your sales profits but don’t know if you are annoying the very people you want to do business with? 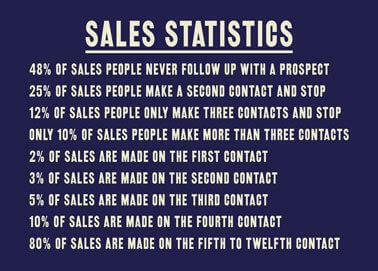 Using the telephone for selling and lead generation just gets tougher all the time. In Australia, there is a Do Not Call register, which makes it an offence to call people listed on the register. In the U.S., the government set up a “Do Not Call” list in which more than 50 million people signed in the first few weeks. However, the use of the telephone I’m going to talk about here is slightly different. It involves making follow-up calls to people on a mailing list to whom you have recently send a written sales letter, or they have completed an online form, or some other form of marketing materials. Studies show that when you combine a follow-up call with an advance sales letter or a completed form, you can increase sales profits by a massive 300% to 1,000%! That’s a response booster too powerful to ignore, but because unsolicited sales calls by telephone are obviously repugnant to many people who just can’t stand being disturbed in their homes or even their business, this is a technique that must be used with caution. One way to get around the sensitivity of telemarketing is to get customers to provide you with permission to call them. Or, use your sales letter to encourage people to call you by providing a freephone/toll-free number and the promise of a fantastic offer if they do so. This is called ‘in-calling’ rather than the more difficult ‘out-calling’. You can also get customer’s phone numbers and get their permission for you to call them occasionally to make quality assurance checks, or you can provide them with a freephone/toll-free ‘help line’ and encourage them to call it whenever they have a question or a problem. Anytime they call, you also gain the opportunity to pitch to them and make another sale, or to upsell them something associated with what they have already bought. Once you have made a sale to someone, you can assume it’s okay to call them from time to time. The customer may even appreciate your effort to make sure he or she is happy with your product, and your call to make sure everything is all right. When you couch your telephone contacts in these terms, you create a whole new atmosphere and attitude about the phone call, and you prepare the situation to start making new sales. 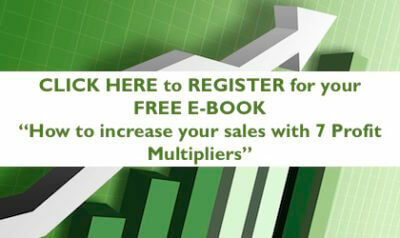 This is forms part of a business strategy to increase your sales profits. Have you heard about how Company X used this approach in your industry sector recently which may also help solve your problem? Try our product free in your business for 30 days with no further obligation to buy. You are hereby invited to an unadvertised sale only a select few are being told about. We’re offloading excess inventory, and if you come in and buy now, you’ll save 50% to 75% on your purchase. Plan well and have your phone calls scripted, but train your sales staff to not sound like they’re robots reading canned sales pitches. They should sound natural, friendly, polite, at ease, and eager to please with the ability to provide knowledge and the training to be answer any questions which might be raised. Telephone contacts are also excellent opportunities to gather marketing research, to ask your customers questions about their needs and listen to their answers. An important aspect of this is to consider permission based marketing and the process or lead nurturing naturally and to be helpful to the prospect. Using the telephone for marketing probably has never been tougher, yet this selling tool is simply too powerful to ignore. Handle your telephone selling efforts with intelligence and care – and focus in in-calling rather than cold out-calling, and you can realize enormous benefits and increases in sales, or at the very least, find new leads and make new customer contacts. Feel free to comment, follow our Company Page if you liked this post or contact us to discuss any specific needs.